UPDATED HOME IN COUNTRYPARK!!! 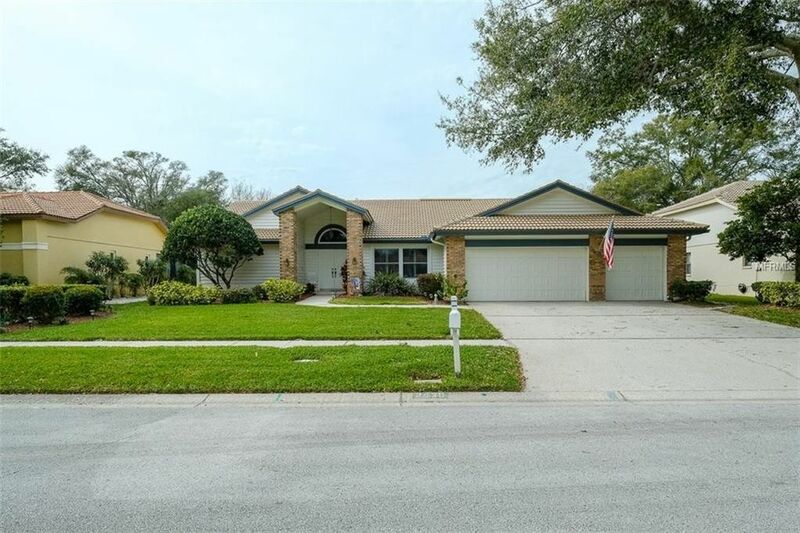 YOU WILL KNOW THIS IS YOUR HOUSE THE MOMENT YOU ENTER -- SELLER HAS COMPLETELY REMODELED THE KITCHEN - GORGEOUS WOOD CABINETS, QUARTZ COUNTERS AND UPDATED STAINLESS STEEL APPLIANCES. ALL OF THE FLOORING HAS BEEN REPLACED WITH BEAUTIFUL WOOD LIKE TILE THROUGHOUT THE HOME. EVEN THE POPCORN CEILINGS HAVE BEEN REMOVED! WINDOWS REPLACED WITH HURRICANE RATED WINDOWS (EVERYWHERE EXCEPT THE GUEST BATHROOM). A/C REPLACED 2016, NEW TILE ROOF IN 2007, NEW MOTOR ON POOL PUMP. THREE CAR GARAGE AND FENCED YARD. SELLER ENLARGED THE LAUNDRY ROOM. SPACIOUS LANAI AREA OVERLOOKING THE POOL SURROUNDED BY PAVERS. GREAT LOCATION!! WALKING DISTANCE TO SHOPPING, PARKS, SCHOOLS, AND RESTAURANTS. Directions: MCMULLEN BOOTH, WEST ON ENTERPRISE, SOUTH ON PARKSTREAM, EAST ON SABER, NORTH ON ANTHONY.